Probably will end up with a mirror someday. Either New Mexico elk are really small, or that frame is enormous, or my perspective is off. A beautiful job in any case. What woods did you use? Are the scallops hand carved, or machined? The frame is 24"x24". 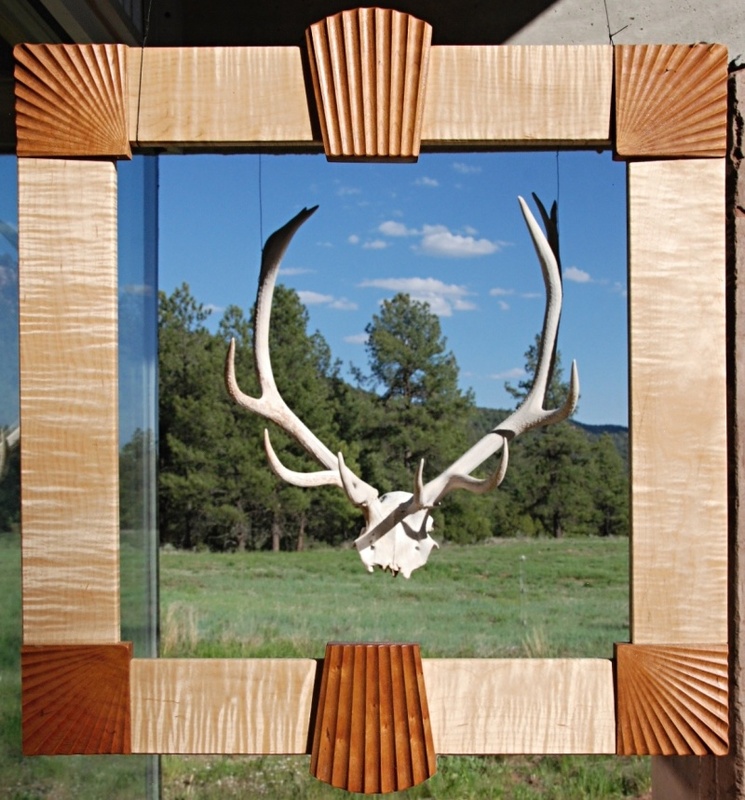 The elk rack is huge - each antler 3-4'. once looked up how to score it (Boone and Crocket) but it was too much work for idle amusement. The camera was MUCH closer to the frame than the frame to the elk - maybe 2:1. 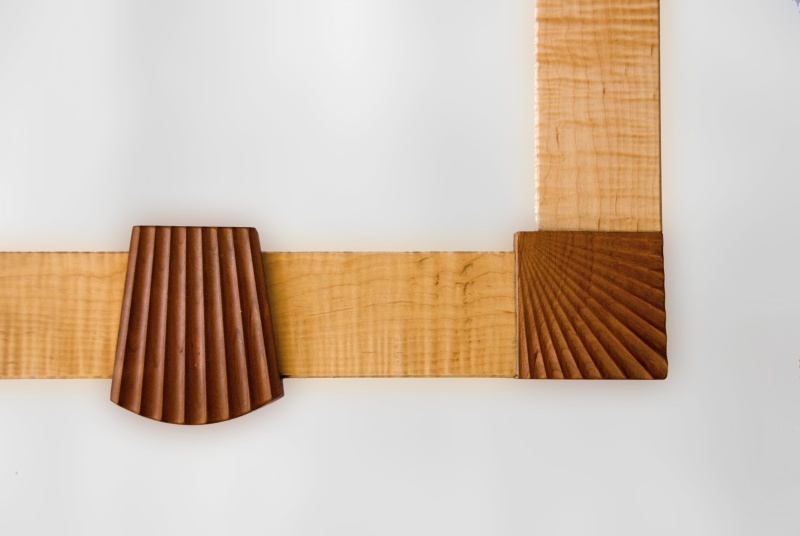 The frame is made from soft curly maple and cherry. The scallops were machined with a 1/2 bullnose on my CNC router. The program was generated from an Excel spreadsheet I wrote - there were no drawings or CAD involved. 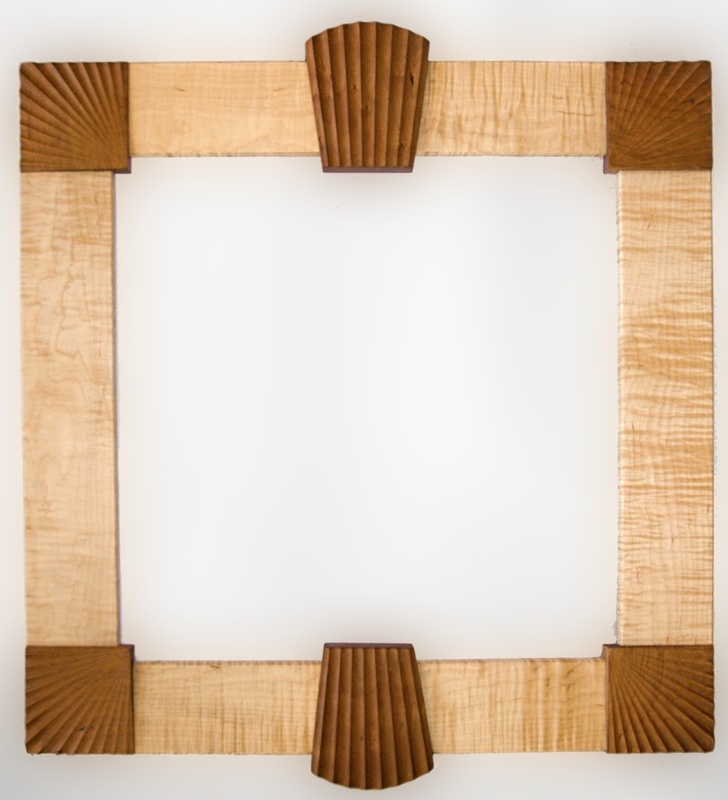 I made this for the Wharton Esherick Museum themed competition on frames. They have a themed competition every year and this was the first time the them aligned with something that prompted me to enter. And for the forum members not familiar with Wharton Esherick, look him up. One of the most important US woodworkers of the past century. If you live anywhere near Philadelphia (actually closer to Valley Forge), make a pilgrimage to his house, which is now a museum. It's well worth the trip. Where else will you see a hand-crafted spiral staircase with the tusk of a mastodon as the railing! Just got a letter from the museum that my frame was accepted by the jury for the show!